Registration for all callsigns will be online and commence in June 30th, 2018 and close in 30th August 2018. This allows time for ACMA to be advised of the locations of the stations for licensing purposes. The WIA Office will coordinate the registrations and advise the Board in relation to the registrations for VI#MARCONI. On the 22nd September the anniversary date the [a person] will provide a special announcement to be read at all participating stations. An online log will be maintained on the WIA web site so that call back stations will be acknowledged. A QSL card will be provided to each radio contact that is confirmed by the station log. The station allocated to a callsign will be responsible for providing the log to the WIA Office in electronic format. ADI files. Groups, clubs and individuals who wish to use this callsign will make on line application to the WIA Office for the use of the callsign. Every attempt to accommodate applications will be made. The WIA Directors will review application nominations based on the schedule spreadsheet provided by the event coordinator. The Director's decision will be final, and no correspondence will be entered into. The WIA will reserve VK100MARCONI for exclusive use for the Hornsby and Districts Amateur Radio Club. Applicants for callsign use are encouraged to arrange portable operation at local Museums and other public places with the approval of the relevant council. The opportunity to publicise the operation in local media should be undertaken to emphasise the purpose and significance of the Amateur Radio operation. 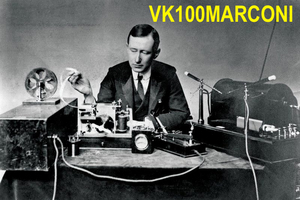 All contacts made using VI#MARCONI will be acknowledged in the WIA on-line log and the WIA will provide an outwards QSL card via the outward QSL bureau. This may be EQSL. Direct QSL will be available where the participant provides to the WIA a stamped or paid self-addressed envelope. The QSL address for direct QSL will be the WIA Office. Inward QSL will not be encouraged and participants will be advised accordingly. 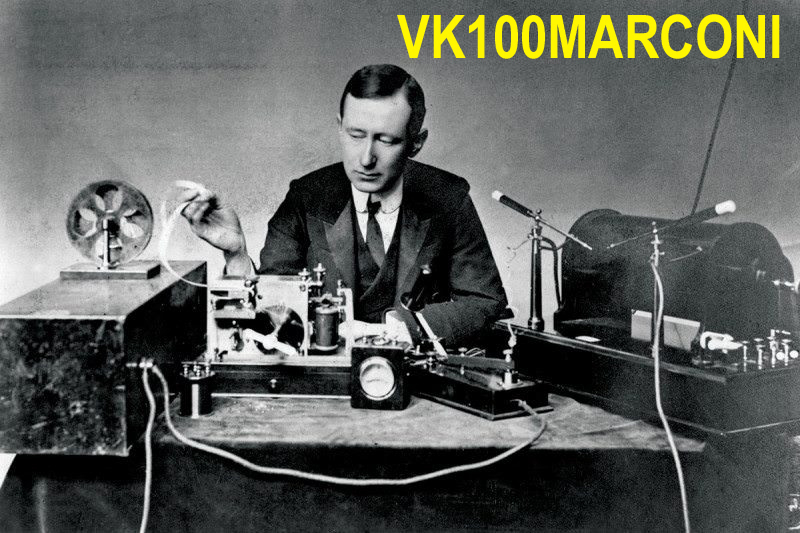 The VI#MARCONI QSL cards, will have an appropriate design symbolic of the event. For the IT arrangements, Robert Broomhead to provide a Facebook page for the event, as well as WIA website internet information. A QRZ.com web page for this event will be established. Every attempt to accommodate applications will be made. The WIA Directors will review application nominations based on the schedule spreadsheet provided by the event coordinator. The Directors decision will be final, and no correspondence will be entered into.